The weather outside is currently a balmy 0 degrees, so it’s the perfect time to stay inside and sew. 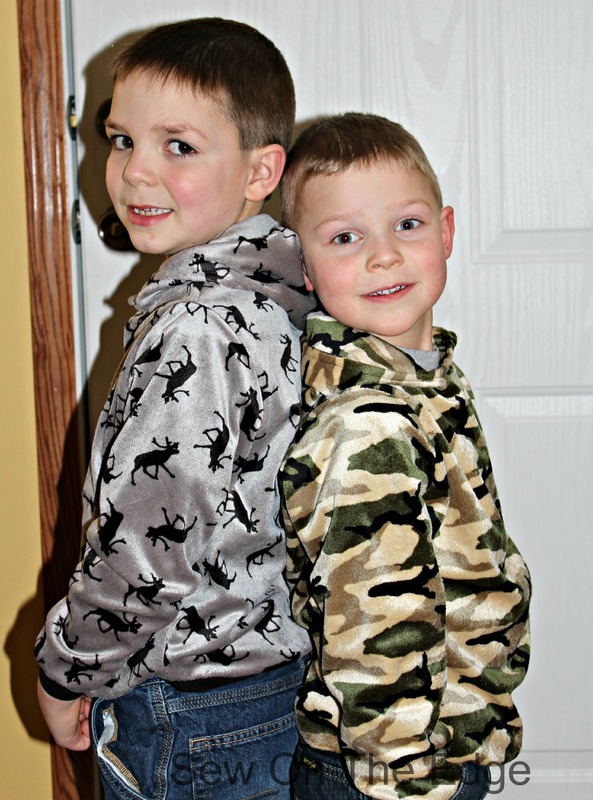 I ran across this fantastic tutorial at http://shwinandshwin.com/2014/09/boys-hooded-sweatshirt-free-pdf-pattern for a boy or girls hooded sweatshirt in a size 8 which works for both my boys. 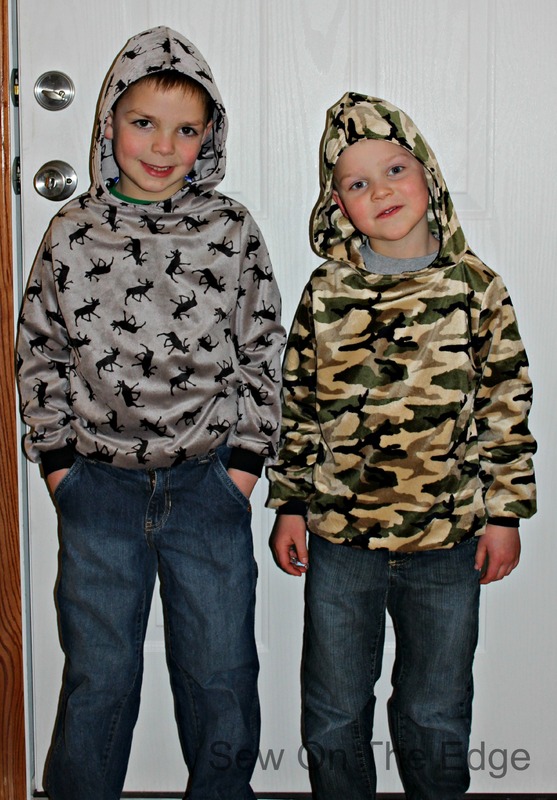 I sometimes struggle to find fun clothes patterns for boys. I can only make them so many pillowcases and jammie pants. This was a great tutorial and the pattern was very easy to follow. The sweatshirts went together really fast. 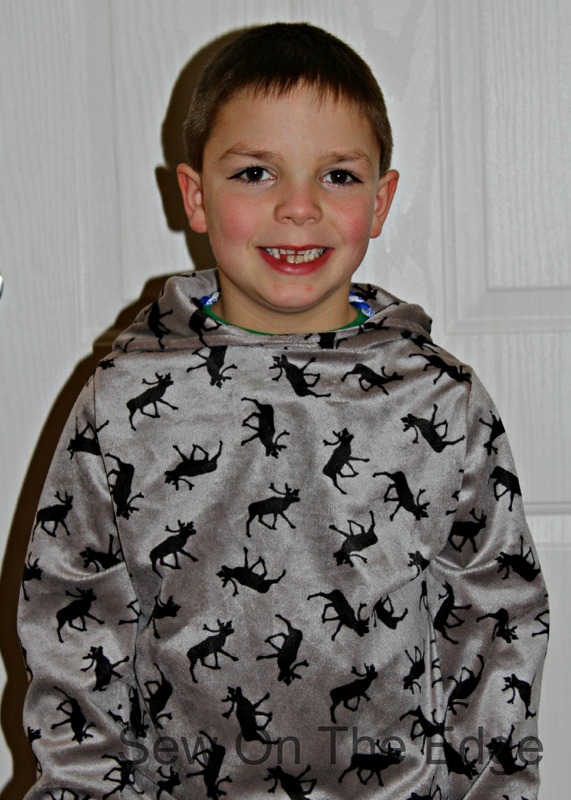 The only thing that I will do different when I make this pattern again for my oldest son who is a size 8, is add a couple of inches to the bottom and about an 1 inch or so on the sleeves. I love that my boys still get excited about things I make for them.